Do you live in Atlanta, Marietta, Smyrna, Sandy Springs, Brookhaven, Alpharetta, Dunwoody, Decatur, Morningside-Lenox Park, or Avondale Estates, and would you like to learn about Atlanta egg donation? At Creating New Generations, we are looking for bright, responsible, and remarkable young women from the Southeast interested in Atlanta egg donation and willing to donate their eggs in order to help others build their families. Our egg donor candidates receive generous compensation of $8,000-15,000+ per cycle (first-time egg donors typically receive $8,000-10,000), which can be used to pursue amazing opportunities not otherwise financially feasible, such as continuing educational endeavors, planning bucket list travel adventures, saving for a down payment on a new home, or beginning a business venture. ♦ You are between the ages of 19-30 years old. ♦ You are healthy and you have a healthy family medical history. ♦ You have normal menstrual periods. ♦ You are not currently using Depo-Provera, Norplant, or Implanon as your method of contraceptive. 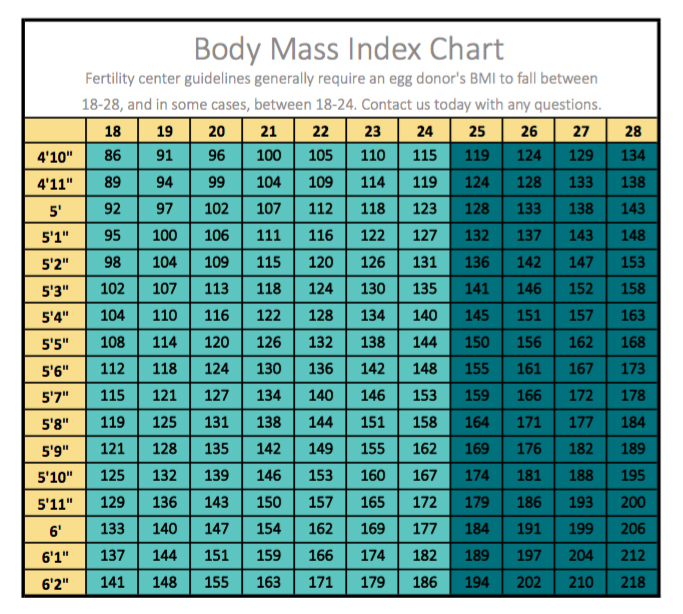 ♦ You have a body mass index of 18-28 (see BMI chart). ♦ You are willing to undergo a thorough medical screening appointment, including physical exam, Pap smear, communicable disease testing, genetic screening, and psychological evaluation. ♦ You have not been diagnosed with or otherwise treated for any kind of sexually transmitted disease in the past 12 months. ♦ You are willing to make yourself available for a 2-3 month commitment in being matched with a hopeful parent for an egg donation cycle, where you will take injectable medication for 10-12 days. If you have questions about donating your eggs in Atlanta, contact us and we can answer your questions and explain the egg donation process in more detail. Our office proudly works with Reproductive Biology Associates, Georgia Center for Reproductive Medicine, Emory Reproductive Center, and Fertility Center of Charleston, amongst other clinics in Georgia and around the Southeast. If, after reading through the general requirements above, you believe Atlanta egg donation is right for you, click below to complete our online egg donor application form.